Democrats won the U.S. House by riding a surge of voter anger and discontent with Donald Trump in suburban enclaves, even as the president’s loyal supporters reaffirmed Republican control of the Senate. 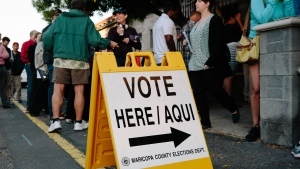 The outcome of Tuesday’s midterm election highlighted the urban-rural divide that has come to define U.S. politics. It will dramatically alter Trump’s next two years in office and make a deeply divided nation even more difficult to govern as he seeks re-election in 2020. By early Wednesday, Democrats had secured more than the 218 seats needed to win control of the House, with some races yet to be called, according to Associated Press tabulations. A Democratic House, a first since 2010, would leave Trump without congressional support to move his agenda forward, including another round of tax cuts, funding for his border wall and attempts to undo Obamacare. Democrats have pledged to check the president’s power and investigate his tax returns, Russian interference in the 2016 election and actions by his administration. Even with a divided Congress, Trump will be able to continue reshaping the federal courts and his Cabinet departments with a GOP-led Senate ready to confirm his nominees. The president called House Minority Leader Nancy Pelosi shortly before midnight Tuesday. She would like to become the next speaker -- a job she held from 2007 to 2011 -- and declared victory for Democrats in a speech. "Today is more than about Democrats and Republicans," Pelosi told supporters in Washington late Tuesday. "It’s about restoring the constitution’s checks and balances to the Trump administration." For his part, Trump claimed victory, tweeting late Tuesday that the outcome was a "tremendous success." The president had some basis for the boast. Republicans scored wins in many Senate races where he personally campaigned, including in Indiana, North Dakota, Missouri, Tennessee and Texas. Republican Representative Ron DeSantis, a loyal Trump follower, won the governor’s race in Florida, a quintessential battleground state that will be critical to the president’s re-election bid. Wisconsin Governor Scott Walker, who Trump had personally endorsed and campaigned for, wasn’t so lucky. The 2016 presidential candidate and longtime foe to Democrats nationally lost to Democrat Tony Evers in a race that Walker’s campaign said might warrant a recount. With 99 per cent of precincts reporting, Evers had 49.6 per cent to Walker’s 48.5 per cent. Stephen Myrow, managing partner at Beacon Policy Advisors, discusses how the markets are poised to react to the U.S. midterm election results. Before the election, Trump bragged that any candidates he backed would win. Among the 76 Republican candidates for House, Senate and governor endorsed by Trump on Twitter where the races have been called, there were mixed results. Forty-four had been declared winners and 32 had lost. The president’s strategy of emphasizing divisive issues such as immigration appeared to backfire on Republican candidates in suburban swing districts that determined control of the House. It may have been effective, however, in largely rural states where he remains popular and where the closest Senate races played out. 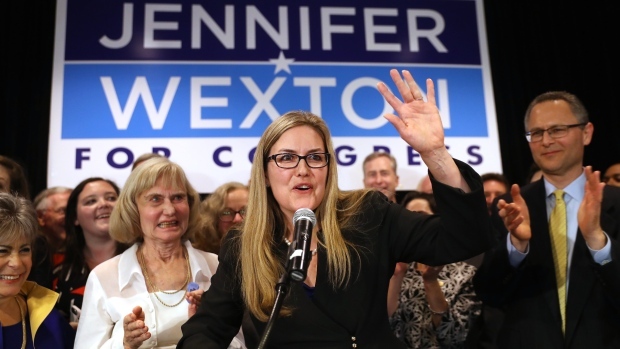 In the House, Democrats found victories in most corners of the country, including suburban seats in New Jersey, Pennsylvania, Florida, Texas and Colorado. They won three of four congressional districts in Iowa, leaving only Republican Representative Steve King, untouched. Since the end of World War II, the president’s party has lost an average of 26 House seats in midterm elections. Midterms, especially the first one for a new president, also serve as a referendum on the White House occupant -- a notion embraced by Trump, who predicted a "red wave" that would keep his party in power. "I’m not on the ticket, but I am on the ticket, because this is also a referendum about me," he told supporters at an October rally in Mississippi. Trump’s approval rating had ticked higher in the closing weeks of the campaign, before dropping back down to 40 per cent in the final Gallup polling for the week before the election. While his standing with the public hurt Republicans, sustained economic growth and an unemployment rate at a 48-year low may have blunted any blue wave. Democrats counted on strong support from women turned off by Trump's bullying style, as well as suburban voters with higher incomes and education levels. Exit polls showed that women comprised 52 per cent of the electorate and they backed Democrats over Republicans 59 per cent to 39 per cent. The party defeated Republicans from the Northeast to the South and across the Midwest. Their victories included the defeat of 11-term Texas Representative Pete Sessions, the chairman of the Rules Committee, by former professional football player Colin Allred in a Dallas-area district. In suburban Chicago, Republican Representative Peter Roskam, a key architect of the 2017 tax overhaul, was defeated by Democrat Sean Casten. Both sides agreed before the election, at least privately, that Republicans were strongly favored to keep the Senate, where the battlefield was highly favorable to them. Victories by GOP challenger Mike Braun over Senator Joe Donnelly in Indiana and Republican Marsha Blackburn's win in Tennessee cut off any small chance Democrats had to make gains, as did the losses by Democratic Senator Heidi Heitkamp in North Dakota and Claire McCaskill in Missouri. In one of the most closely watched races, incumbent Republican Texas Senator Ted Cruz fended off a long-shot bid by Democrat Beto O’Rourke, a rising star in his party who set an all-time quarterly fundraising record for a Senate race. Democrats Joe Manchin in West Virginia and Tammy Baldwin in Wisconsin won their Senate re-election bids, both states Trump won in 2016. In Nevada, Democrat Jacky Rosen defeated U.S. Senator Dean Heller, in a pickup for her party. Florida’s Senate race between Democratic incumbent Bill Nelson and Republican Rick Scott, the state’s governor, remained too close to call. Senator Bob Menendez of New Jersey beat Republican challenger Bob Hugin to win a third term, after the incumbent had been reprimanded by a Senate ethics panel after corruption charges were dismissed following a mistrial. In Virginia’s 7th District, a Republican-leaning area near Richmond, Republican Representative Dave Brat lost to Democrat Abigail Spanberger, a former CIA officer. Voters "rejected the politics of hate, the politics of division and the politics of ideology," Spanberger told supporters Tuesday night. Trump’s polarizing impact on the country has driven unusually high interest in the election, the first major political test of his presidency and one that will provide Democrats with clues to the strategy they’ll need to challenge him in 2020. The flood of political donations from interest groups and individuals will make it the most expensive midterm ever, and early signs suggest voter turnout could be the highest in half a century. While the occupant of the White House is typically central to midterm elections, Trump worked especially hard to make this one about him. Voters agreed. Two-thirds of those casting ballots said their vote was about Trump, according to exit polls posted by CNN. Also, more said they showed up at the polls to express opposition than did those who said they were casting a ballot to support him. Exit poll results reported by CNN showed 18- to 29-year-olds accounted for 13 per cent of voters nationally and they voted 67 per cent for Democrats. Sixteen per cent of voters said this was the first midterm election they’d voted in and they back Democrats over Republicans, 62 per cent to 35 per cent. About four in 10 voters choose health care as the most important issue facing the country, and seven in 10 say the nation’s health-care system needs major changes, the exit polling shows. About two in 10 each choose the economy and immigration as their top issue, and just one in 10 say it’s gun policy. While two-thirds of voters said they think the economy is good, 54 per cent said the country is headed in the wrong direction, CNN reported. --With assistance from Anna Edgerton, Jennifer Epstein, Tiffany Stecker, Greg Giroux, Ryan Beene, Laura Davison and Arit John. 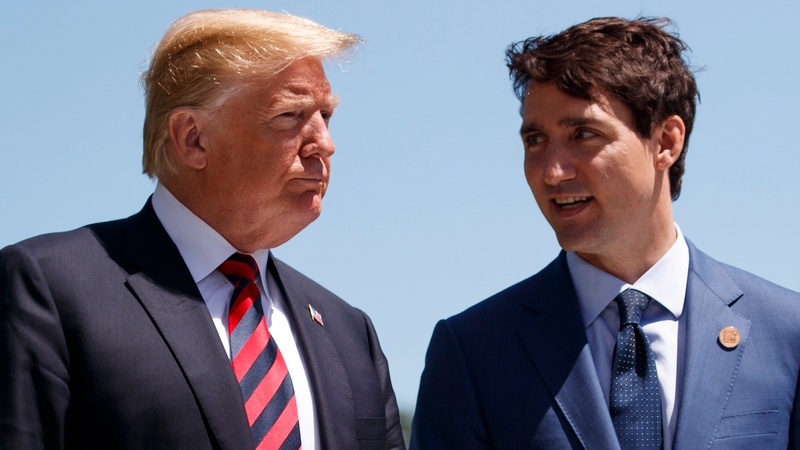 Do you think Canada-U.S. relations will be better or worse after the midterms?